Nearly every New Testament letter can be found with portions directed at refuting contemporary false teaching. It is likely that when Paul and John wrote their epistles that they had specific false teachers and false apostles in mind. For instance, many believe that John wrote his first epistle with the proto-gnostic Cerinthus in mind. Whatever the individual cases may have been in Corinth, Crete, or Ephesus, Paul was clear on one thing when he spoke to the elders at Ephesus in Acts 20 – this problem of false teachers was not going away and before the end it would only get worse. Moving to the present day we can see that there are plenty of wolves and the damage they do is devastating. Prosperity Gospel, cheap grace, attacks on the authority of Scripture, distortions of doctrine of all kind abound. Now as much as ever church leaders need to be called to “follow the pattern of sound words” delivered by the apostles and to “guard the deposit” that has been entrusted to the church (2 Tim. 1:13-14). But this task is becoming more and more difficult, perhaps more so than Paul or John could have imagined in their time. And the task is becoming more difficult not because the heresies we face are really that new, but because we live in the age of information. On a good note ease of access to information is not entirely detrimental. The Reformation spread across Europe like it did because the invention of the printing press and the increase in literacy stemming from the rise of humanism allowed the pamphlets of Luther and other reformers to flood the market. But as a result of this technological development, the print medium also became a channel for the counter-reformation and later works of the Enlightenment which would begin to erode the authority of Scripture. 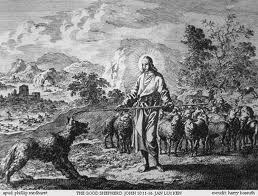 In the last half century with various television preachers and now with the widespread access to the internet, new challenges have arisen for defending the flock from wolves. Challenges that I believe are unprecedented. Between God TV, YouTube, and numberless other access points people can have their “itching ears” scratched without their pastor knowing exactly what they are getting exposed to. Under-shepherds of Christ’s church might be able to call out the teachings of well-known teachers, but now there are blogs, memes, Facebook, and Twitter where many people –well-meaning but deceived – post things that sound so good but are laden with poison. Young believers surf the web where they are exposed to all sorts of teaching that they lack the discernment and the knowledge to refute. Pastors can no longer be content to be reactionary when it comes to sound doctrine. Shepherds cannot afford to wait until a person becomes indoctrinated by online false-teachers, at which point they are no longer protecting but rescuing. As I have contemplated the defense of sound doctrine and the protection of the flock in the age of information I have become convinced that I cannot afford to be reactive and I cannot be so naïve as to think that my flock is only listening to my sermons and reading the books I promote. In fact, I am reminded constantly that they are often exposed to stuff that sounds so right and is just so wrong! What then is the answer? I don’t think turning every sermon into a rant is the answer. Rather, now more than ever, we need to defend the sheep by arming the sheep. I know that invokes funny images of sheep wearing bandoliers with their hooves sharpened to shanks, but I think that arming the sheep is the best way you can protect the sheep. How do we arm the sheep? We can do this by first of all making the sheep aware of the danger. Make sure that the flock knows that spiritual warfare is primarily an issue of truth and lies. They need to know that the favorite weapon of the enemy is delicious cake laced with a slow-acting poison. The people should be nearly paranoid of false teaching (hyperbole for emphasis). Then we must equip them with a robust understanding of biblical theology. The great themes that tie Scripture together should run through our sermons. This will help the sheep identify teaching that does not fit into that narrative. Encourage dialogue between people and elders about what they are hearing, and when something alarming comes up don’t just brush it off, but elevate the authority of Scripture and take them to it, showing them where the problem really lies with the teaching in question. Make it clear that the problem is not that it disagrees with you, but with God. We owe the flock careful, biblical answers to their questions. Pastors should model humble confidence in God’s word. We need to show people that we don’t feel threatened personally by the teaching of others, but that we ourselves are teachable, but still unwavering in our confidence of the truth that we proclaim. This means that when we find our doctrine in need of being corrected we don’t hang onto a viewpoint that we can’t biblically defend. Finally, by repetition drive home the foundational doctrines of the Gospel. Help people see that ideas, true and untrue, have consequences and that they need to filter what they hear and read through these founding doctrines of Scripture. Help them see that everyone is a theologian – good or bad. Guide the flock in thinking carefully about the domino effect of certain ideas. Remind them again of why this is so important – because wolves wear sheep’s clothing and devils dress as angels.